17th August 2011: The Smirnoff Co. today launches the next Smirnoff Nightlife Exchange Project with the audacious goal of getting 10 million people to discover, share and swap the most original nightlife experiences in 50 countries. The Smirnoff Nightlife Exchange Project is an ambitious attempt to discover the world's most unique and interesting nightlife, culminating in one-of-a-kind experiences on the same night all over the world. This year, Madonna joins the Smirnoff Nightlife Exchange Project to find the best dancer to join her next tour. Revellers worldwide are invited to co-create and participate in the Smirnoff Nightlife Exchange Project by contributing ideas on what makes their local nightlife distinct in the categories of drinks, dance, fashion, music, places, and more creating a nightlife cocktail of unique events. The most inspiring suggestions from each region will be captured online and then exchanged with another country in November. By participating online, fans will have the chance to win a place at one of the global events or experience another country's party at a Smirnoff Nightlife Exchange Project event in their own city. Go to www.facebook.com/smirnoff or www.facebook.com/madonna to find out more. One of the consistent aspects in nightlife culture around the world is the importance of dance. As well as submitting ideas on what makes their country's nightlife special, fans can enter an exclusive dance competition online. Madonna will attend one of the selected Smirnoff Nightlife Exchange Project experiences where finalists will compete in front of her for the winning spot. The winner may get the opportunity to join Madonna on her next tour as one of her dancers. "What attracted me to the Smirnoff Nightlife Exchange Project is the combination of participating in the celebration of nightlife around the world and the opportunity to discover the world's best unknown dancers," said Madonna. "The best dancers are always in the clubs looking for the most original experience, just like Smirnoff is doing." The Smirnoff Nightlife Exchange Project strives to showcase, mix and unite the world through unique nightlife and as such the best dancers from around the world will be highlighted for their own style and flair. The submission process for the dance competition begins today and runs until October 10th. To enter, hopefuls must submit a 60-second dance video. For details on the dance submission process and terms and conditions, visit www.smirnoff.com or www.madonna.com. Simon Burch, Global Brand Director for The Smirnoff Co., said, "Smirnoff mixes original nightlife from around the world and gives everyone the chance to be there through extraordinary, one-of-a-kind experiences. Who better to decide the best in the dance category than Madonna herself?" As the world's number one vodka, The Smirnoff Co. has been at the heart of nightlife culture for generations and now hosts the world's biggest spirits community on Facebook with people participating in The Smirnoff Co. events, commenting and sharing information on nightlife around the world. The 50 countries participating in the Smirnoff Nightlife Exchange Project include: Argentina, Australia, Belgium, Bolivia, Brazil, Bulgaria, Cameroon, Canada, Chile, China, Colombia, Costa Rica, Cyprus, Dominican Republic, Dubai, Ecuador, El Salvador, Germany, Ghana, Great Britain, Greece, Guatemala, India, Indonesia, Ireland, Israel, Italy, Jamaica, Japan, Kenya, Mexico, Netherlands, New Zealand, Nigeria, Norway, Panama, Paraguay, Peru, Poland, Romania, Serbia, South Africa, South Korea, Thailand, Trinidad, Turkey, Uruguay, United States, Venezuela and Vietnam. The Smirnoff Nightlife Exchange Project, including the exclusive dance competition, is the first component of a multi-faceted agreement between Madonna and her partner Live Nation and Diageo, the parent company of The Smirnoff Co. More details to be released in the coming months. For updates on Madonna, please visit www.facebook.com/madonna. MADONNA COME TO KAZAKHSTAN PLEASEEEEEEEEEEEEEE!!! Please come to Finland again! Dear Madonna, I have been your fan since forever! Hope to see you soon here in Finland and would like to see my brother Jukka dancing with you, he is professional dancer and has also singed and danced in Eurovision song contest in the front of millions people watching him from tv. It would be great that tour will finally come in Croatia. Love and dance makes the world go round!!! Wish to all kisses from Croatia, Velimir. I second that Chantelle. Madonna is missing out on some great talent from South Africa... Also, South Africa would be VERY HAPPY to have Madonna here for a concert or two or three or four... or more. C\'mon Maddy! Kylie had sold out shows here and they even had to make an extra show night for the Sun City crowd. South Africa is hungry! Please Madonna!! Come back to South America!! Greetings from Paraguay!! PARAGUAY LOVES YOU!! Skydiving and Dancing for Madonna! 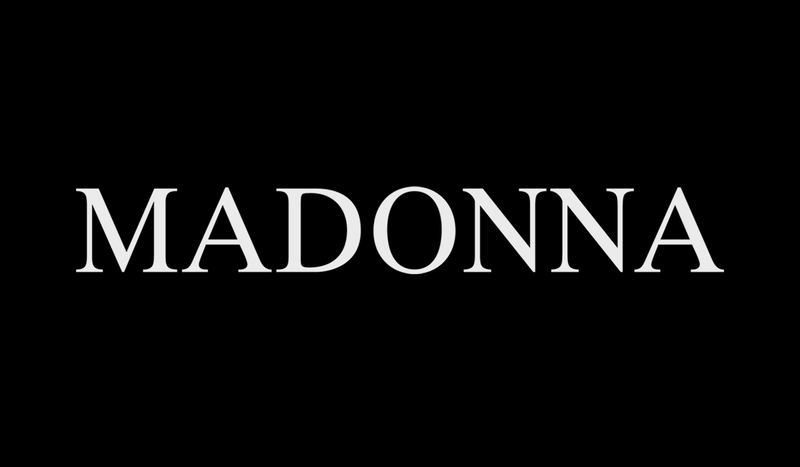 it s an amazing opprtunitie if you\'re a dancer and if you will be choose by madonna for her next tour! goog luck dancers! and I can\'t wait to see the next tour next year! Nice project and good luck! I am glad that Canada is in the 50 countries participating! Good Luck!